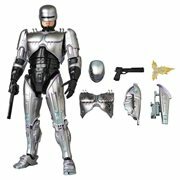 in the near future, the film centers on a police officer that is brutally murdered and subsequently recreated as a superhuman cyborg known as a "RoboCop." The movie was a box office success, grossing $56 million in the United States. It has since spawned merchandise, 2 sequels, a television series, and a comic book adaptation. 2014 brings a remake of the 1987 movie and a reboot of the film series. 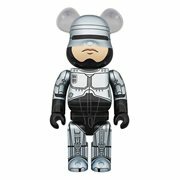 RoboCop is a 1987 action movie directed by Paul Verhoeven. 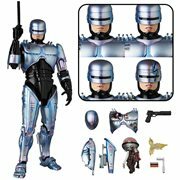 The film features Peter Weller, Nancy Allen, Dan O'Herlihy, Kurtwood Smith, and Ronny Cox. 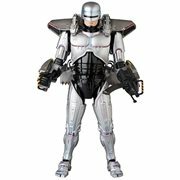 Set in a crime-ridden Detroit, Michigan in the near future, the film centers on a police officer that is brutally murdered and subsequently recreated as a superhuman cyborg known as a "RoboCop." The movie was a box office success, grossing $56 million in the United States. 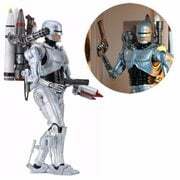 It has since spawned merchandise, 2 sequels, a television series, and a comic book adaptation. 2014 brings a remake of the 1987 movie and a reboot of the film series. 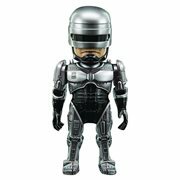 This article uses material from the Wikipedia article "RoboCop" and is licensed under the GNU Free Documentation License.